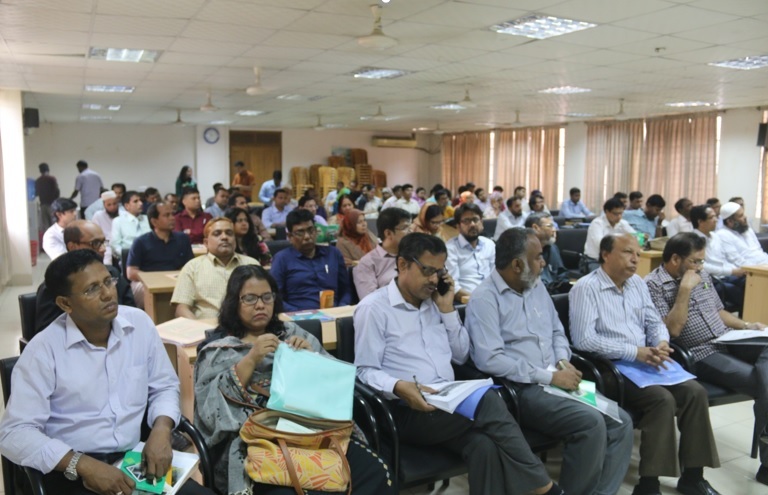 Sher-e-Bangla Agricultural University in Bangladesh in collaboration with the Information Training and Outreach Centre for Africa (ITOCA) in South Africa organized a National Workshop titled “Access to Global Online Research in Agriculture (AGORA) in Bangladesh” supported by the FAO (Food and Agriculture Organization) of the United Nations, from 2 to 3 April 2018. Inauguration session held on 2 April 2018. The Honourable Vice-Chancellor of Sher-e-Bangla Agricultural University (SAU) was the Chief Guest and the Chairperson was Professor Ruhul Amin, Dean, Faculty of Agriculture of SAU. Special Guests were Professor Dr Sekender Ali, the Honourable Pro-VC, SAU, Professor Anwarul Haque Beg, Treasurer, SAU. Imma Subirats, AGORA Programme Manager (FAO of the United Nations) was the Guest of Honour. The programme was presided by Dr Anwarul Islam, Librarian, SAU and Programme Coordinator. enhance capacities to access and use information resources available on the AGORA platform. The course comprised of lectures delivered in a classroom setting, hands-on exercises, and group work. Some of the activities involved accessing live websites and portals on the Internet while a few other issues were conducted offline. 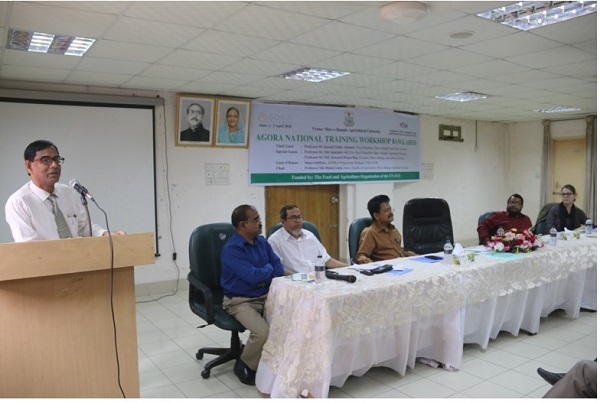 A total of 105 participants from various institutions in Bangladesh attended the National Training Workshop. Imma Subirats conducted the activities as resource person while various participants assisted her during interactive sections. Certificate award sessions were held for participants prior to the end of each activity on both days. One of the five programmes that make up Research4Life. The others are Access to Research in Health Programme (Hinari), Online Access to Research in the Environment (OARE), Access to Research for Development and Innovation (ARDI) and Global Online Access to Legal Information (GOALI).